Dress: Target | Bracelete: Forever 21 | Sunnies: (in other post) Forever 21 | Purse: Target (yellow S/O) | Nails painted by the lovely Amy! I normally don’t post twice in one day, but I felt it was just a bit too image heavy to cram everything into one post! 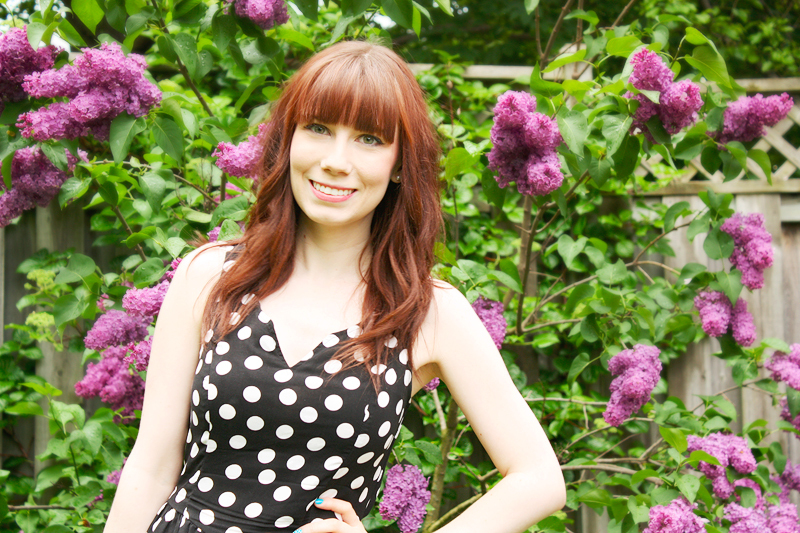 These photos are totally reminding me I’m well due for a colour appointment for my hair haha! 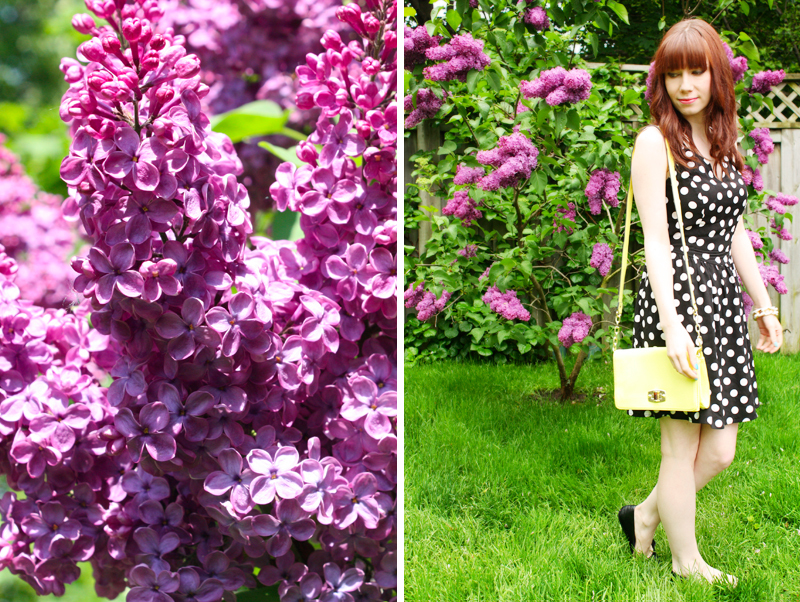 Never the less, here is what I wore on our sunny victoria day backyard party! I just love this dress. 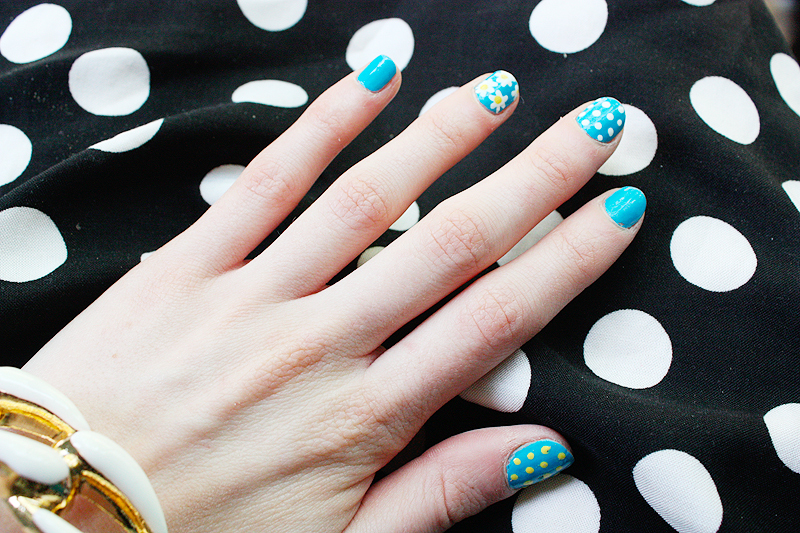 (Who doesn’t love polka dots, am I right?!) I ended up buying it in another pattern too. This entry was posted on Thursday, May 23rd, 2013 at 12:49 pm	and is filed under Outfits. You can follow any responses to this entry through the RSS 2.0 feed. You can leave a response, or trackback from your own site.